Tulalip WA — Tulalip Resort Casino chefs are putting their own twist on the annual Bavarian VolksFest tradition with inspiring culinary creations. Paired with a selection of Oktoberfest beers procured by Sommelier Tom Thompson, this Bavarian fun-fest is happening early – because just one day is never enough. The celebration is happening now through October 31, 2018. 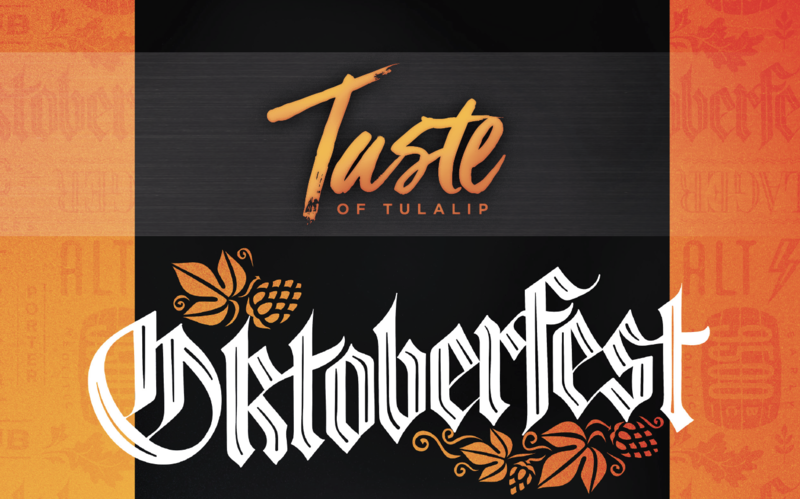 Taste of Tulalip Oktoberfest menus pay tribute to German tradition and will draw from the original Munich Oktoberfest experience. Thompson’s team will serve a grand selection of imported, local and domestic Oktoberfest beers from noteworthy breweries, such as Dru Bru, Sierra Nevada and Silver City, to create the complete package. Cedars Café will serve its annual Bavarian-Style Wiener Schnitzel with warm sweet and sour coleslaw, mashed potatoes; topped with crispy onion straws, lemon beurre blanc and blackberry sauce. For the perfect finish to any meal, diners can order a piece of the Warm German Chocolate Tart made with a chocolate crust and filled with gooey chocolate chips, coconut and toasted pecans. Served with stout syrup and vanilla bean ice cream – a must-try confection. Blackfish Wild Salmon Grill & Bar is offering three Oktoberfest menu items this year. Diners can start the evening with their specialty cocktail Gin Symphony, which is made with an herbaceous blend of cardamom, ginger, rosemary and Angostura bitters blended together with Broker’s London Dry Gin, fresh lemon juice and Riserva Speciale Rubino Sweet Vermouth. The dinner special features Chef David’s Roasted Half Duck with Hunter’s Sauce showcasing a roasted duck breast and duck leg confit, which is served with an apple-pear potato hash, Brussel sprouts tossed with Boarshead bacon and Hunter’s Sauce with chanterelle mushrooms. For a sweet finale, guests can order Pastry Chef Nikol’s Apple-Raisin Strudel with vanilla bean ice cream. Carvery/Hotel Espresso makes their mark with a Bavarian Ham Sandwich Black Forest ham on a fresh Bavarian pretzel roll, Munster cheese, dill pickles and stone ground mustard. The Draft Sports Bar and Grill will be serving a traditional Deutschland dish of Grilled Sausages and Mashed Potatoes. Chef Susan will prepare grilled Uli’s Thuringer and Frankfurter sausages paired with their house-made German mashed potatoes and topped with caramelized onions and red peppers. This dish wouldn’t be complete without The Draft’s sauerkraut and beer mustard. Blazing Paddles is also celebrating the season with a special Brat-n-Beer Cheese Pizza made with Bratwurst, Manny’s beer and smoked Gouda cheese sauce, onions, yellow peppers and fresh onions. Topped with smoked cheddar. Eagles Buffet will offer dinner guests several Oktoberfest specials, which will feature Beer Braised Bratwurst and Onions, Bavarian Pretzels with a mustard sauce, Lemon Thyme Oven Roasted Chicken served with buttered noodles, or Smoked Pork Ribs with an onion grain mustard sauce served over braised red cabbage.